EXCLUSIVE! Wear it long and loose, or doubled so the stone rests in the hollow of your throat. 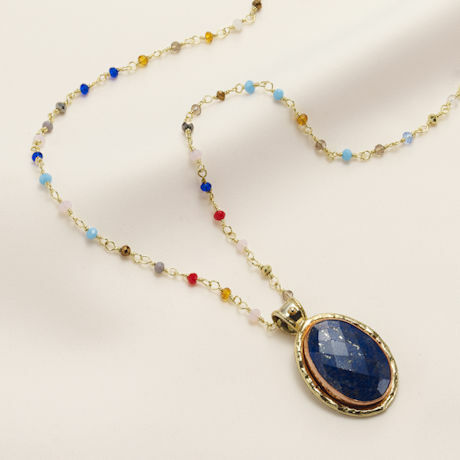 Large faceted lapis is set in a hand-formed bezel of bright copper and textured antique silver. 1 ¾" pendant hangs from a 36" chain of colorful crystals and brass.